A place to share some thoughts on food, healthy living and things that make us feel ALIVE. I have spent the majority of my life (until now) avoiding cilantro like the plague and research shows that I'm not alone. Having an aversion to this green herb commonly found in asian and latin foods might actually be determined by your genes! Adored chef, Julia Child answered the question of what she would do if cilantro were found on her plate. "I would pick it out ... and throw it on the floor." Recently I discovered that the dark leafy green that was commonly found in the soup prepared by my boyfriend's mom was, CILANTRO. EEK, how could that be? The herb that I have managed to avoid and push aside for years was something that I actually liked?! It turns out, which I discovered through experience that once cilantro has been boiled, it loses its flavor. This is AMAZING news for someone like myself. Why? Because cilantro is one of the best herbs to incorporate into your diet for chelating metals, pesticides and other toxins. In the world that we live in today where we are constantly coming into contact with poisons through the food we eat, the air we breathe and the products we buy, it is of utmost importance to support the body's systems in expelling these toxins from the body. Cilantro is such an effective detoxifier that it has even been studied for its effects on being able to absorb heavy metals out of unfiltered water! Whether you know you have metal toxicity or an abundance of pesticides in the body, try adding cilantro into the diet, it can have an incredible impact on your overall health! I first learned about Fire Cider from the esteemed herbalist, Rosemary Gladstar. This is a combination of nature's anti-fungals/bacterials/parasitic and can be taken preventatively to ward of common colds and flus or as a way to shorten the duration of a present infection. As winter fast approaches this is the time to load up your kitchen and medicine cabinet with natural, healing products! I decided to give this time-trusted Fire Cider a go, here's what I did. Take all of the ingredients and put them in a clean, glass jar. Make sure that the opening to the jar is wide enough to easily strain the ingredients at the end of the 4 weeks. Mason jars are great for this purpose. Once you place all the ingredients together, label your jar so you don't forget what it is. There are differing opinions as to how long you should let the fire cider infuse but I find that 4 weeks is sufficient. Shake your jar occasionally and after 4 weeks strain and taste! If you find that it's too spicy you can dilute it a bit by adding more vinegar or some raw honey. When your doctor says, "there is nothing you can do." What do you do when your doctor tells you there is nothing you can do to help yourself? You take matters into your own hands, of course! My dear friend did just that and was able to completely rid her body of a potentially cancerous mass. It's inevitable that at some point in your life you will feel the unwanted feelings of anxiety and stress, some of us feel them on a regular basis and others, infrequently. Stress and anxiety can come in the form of actual attacks where you feel a shortness of breath and a narrowing in of your vision. It can also mask itself in other ways such as having difficulty sleeping or waking up in the morning, feeling groggy, unmotivated and agitated. Get extra sleep-Go to bed earlier than normal and allow your body to actually rest. Many of us are so overstimulated that we have a hard time falling asleep but even if you just put yourself into bed, the act of being still can promote relaxation. If you have trouble sleeping you may want to try an herbal sleeping blend. I have one which is available for purchase called Turn Your Lights Down Low and is non-habit forming. When we sleep the mind and body has time to repair itself, so it is crucial that you get a good night of rest. Create a calming environment-Technology and electronics don't belong in the bedroom. They give off a stimulating frequency and distract us from being able to fully be in the moment. Light candles, burn a soothing essence like sage, or frankinsence and grab your journal. Write- Daily writing is an excellent way to release the mental madness and create space for calmness. Some people find that free writing first thing in the morning is helpful in starting the day off with a sense of serenity. Yoga- There are numerous styles of yoga to try as well as poses designed with anxiety and stress in mind. Take a few minutes each day to do some mindful stretching, take a yoga class or watch a video on youtube. If you live in the NYC area, feel free to contact me about setting up a time to practice yoga. Herbs- One of my favorite ways to combat stress and anxiety is through plant medicine. Over the counter medications do more harm than good, and why not take an approach that is actually healing and nourishing to the system? Plant medicine is the obvious choice when seeking overall understanding and safe remedies. Please contact me for a list of herbs that can support you during times of stress. Pack your bags and let adventure lead you! This past weekend, I packed the car and headed out to Montauk, a beautiful beach town. It's a quick getaway for the typically overworked New Yorker. Montauk offers stunning stretches of beaches, a small downtown strip with cute boutiques, lobster and crab spots, and of course, fresh fruits and vegetables. If you are feeling run down and need a quick break from your daily routine, check out areas close to you where you might be able to escape for the day or for the weekend. Even if you don't have an entire weekend to spend, you can always reap the benefits of spending even just a few hours in the outdoors. Gardens, parks and waterfronts are perfect solutions for those of us who don't have the time or means to head too far from home. Where are you going this summer? How do you create time for yourself to relax during the summer? Could your garden weeds be more than just a nuisance? Gardens are full of love, life and well, sometimes weeds. I want to encourage you to seek an understanding of the weeds in your garden! You never know what type of medicinal or delicious plants could be growing in your backyard. The earth naturally supplies its inhabitants with gifts to assist in nourishing and healing of the minds and bodies and often these gifts are overlooked. As an herbalist I'm constantly trying to find new ways to increase my usage with herbs and spices. They grow wildly and offer an array of not only flavors for our meals, but pack a solid nutrient punch as well. The next time you are at the grocery store or your farmer's market be sure to grab some herbs and add them to your next dish! Rosemary: This commonly used herb which grows easily helps to balance hormones, in particular estrogen. In addition to being great for hormones it also boost immune function and acts as an antioxidant. For flavor add this herb to: chicken, fish or root vegetable dishes. Thyme: A pungent herb which is often used to flavor fish dishes, acts as an anti-microbial, means it helps to fight bacteria and infections. It can be used externally and rubbed onto areas of the skin that need attention or also consumed internally. When cooking add this herb to meats or fish. It compliments Italian food wonderfully. Sage: A well known herb used for smudging, also contains many health benefits such as reducing inflammation and minimizing free radicals. When cooking, add sage to soups, stews and meat dishes. Okay, well maybe it is, but maybe it isn't. Yoga is not for any specific type of person. It's not only for people who are flexible and can wrap their legs around their heads. It defies all boundaries because it opens you up to the limitless possibilities that exist all around us. Yoga comes in many different forms and styles and one of the greatest reasons to work one on one with a teacher is because each class is designed specifically for you and what you need and want. Walking into a studio can be intimidating. It can also be unfulfilling if what you wanted to work on didn't happen in class. If you are dealing with an overload of stress and wanted to address that in class but the teacher focused on something else, you might feel more agitated than when you walked in. I am currently taking new yoga students and thrive from being able to guide, teach and support my students around not only physical conditions that can benefit from yoga, but also emotional and mental conflicts. Emotions and past experiences get locked into the body if they aren't properly released. Yoga can help you not only become more flexible, increase your strength and tone, but also let go of past traumas, emotional blocks and much more. Schedule your session today! Connect with me through my contact page. See you soon! Natural medicinal herbs using Elderberries for healing and soothing the symptoms of a cold or a flu. Over the course of my lifetime, I've tried many different ways of eating. Sometimes things come full circle and you try them, like them, leave them and then, return. So here I am again, adhering to to a vegan way of eating, most of the time. Being able to listen to your body and it's needs is more important than following a diet full of restrictions and boundaries which I believe and advocate for with all of my clients, friends and family. So, for the most part I'm following a vegan diet about 90% of the time and that other 10% is there for those days when I feel my body wanting something heartier, and more calorie dense. If you haven't yet watched the incredible documentary Forks Over Knives, I encourage you to do so. Even if you don't decide to choose veggies over meat after watching the film, it's hard not to be inspired by the power we each have as individuals to reverse disease, get off our meds and live a healthier life just by choosing different foods to consume. Challenge yourself to seek out plant based options this week. You don't have to quit cold turkey (no pun intended) but if you slowly and more frequently choose high fiber, low cholesterol foods the way you look and feel will change as well. 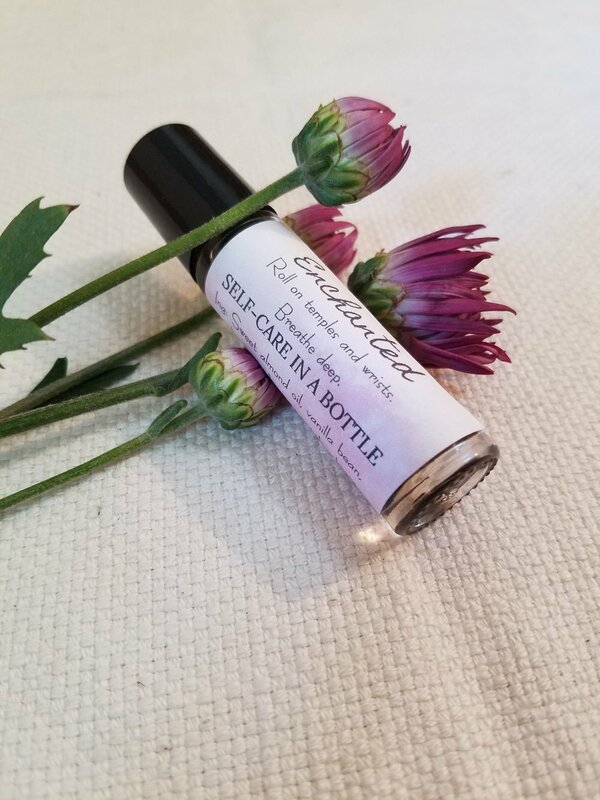 As always, if you have more questions on taking better care of yourself connect with me through my contact page. Just do it. Eat more salads!! Boosting your immune system by adding natural probiotics into your diet through fermented foods is an easy way to ensure optimal health. There has been a lot of talk recently about candida, but what is it and how can you protect yourself from it? Candida is an overgrowth of fungus in the gut, typically present due to factors like: taking antibiotics, birth control, sharing saliva with someone who has it, sugary diets which don't support healthy gut flora, and of course, stress. There is A LOT of information out there regarding candida and what you needs to be done in order to rid it from your system. Many people focus on only one aspect such as the diet. We know that candida feeds itself from the sugar and yeast you give it but changing your diet alone is not the answer. We also know that it is a fungus, but taking anti-fungals alone is also not the answer. Do you suspect you could have candida? Have you tried getting rid of candida before but to no avail? I work with people regularly who have candida. Together through an approach of diet and herbs we are able to clear candida in just a few short weeks. For further questions or concerns regarding candida and your health, contact me! As someone who works with clients and patients daily around natural solutions for common complaints, such as: food sensitivities/intolerances, insomnia, weight gain, PMS, fatigue, digestion, acid reflux and so forth I want to highlight the importance of making small, simple changes. Trust me, I understand that health issues can be complex especially when we are dealing with emotional catalysts leading to physical complaints, I've been there. There is no quick-fix (sorry!) however there are changes you can make immediately that can lead to big changes! Ask yourself, what COULD you be doing to improve your health? -If you don't know, be sure to receive my FREE newsletter by signing up below. Most often we know at least one habit we should shake which would greatly improve our health. It might be cutting down on soda, processed foods, or alcohol, everyone is different so see what makes sense to you. Once you recognize what ONE thing you could be doing differently, set goals for yourself to slowly and simply cut it out of your life. Most people do best when they make changes gradually, so choose just one habit you want to address and take daily actions to cut back on it. Feel like you need more support in making dietary or lifestyle changes? Connect with me and I will show you step-by-step how to reach all of your health goals.